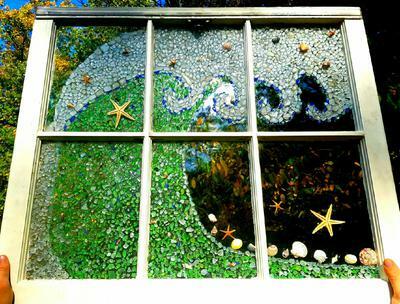 Sea Glass - Don't Miss These Posts! Once again, we bring you our specialized weather forecast - sunny smiles, warm hearts, and a great day no matter where. Lin and I are currently in Maryland, USA. Our daughter Kelsey and son-in-law Cesar arrived last night from Boliva, so we are all at "Grandma's" house for the time being. We have been to Brownie's Beach on the Chesapeake, where we found some beads and shark's teeth. Then at the private beach near Grandma's we found more craft-grade sea glass and another shark's tooth, so very interesting and enjoyable times here. 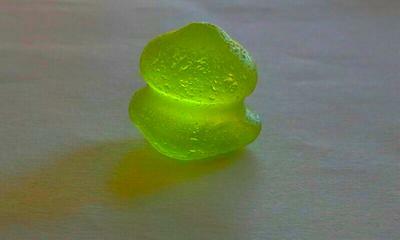 As many of you know, we are selling lots of sea glass and beach finds at some really affordable prices. This sale will go on only until December 5th and then we won't be selling again until mid 2017 at the earliest. For those of you in the Maryland area, Lin and I are doing an art show featuring our BeachFindz Art. The proceeds will benefit our daughter Kelsey for treatment of major medical problems. 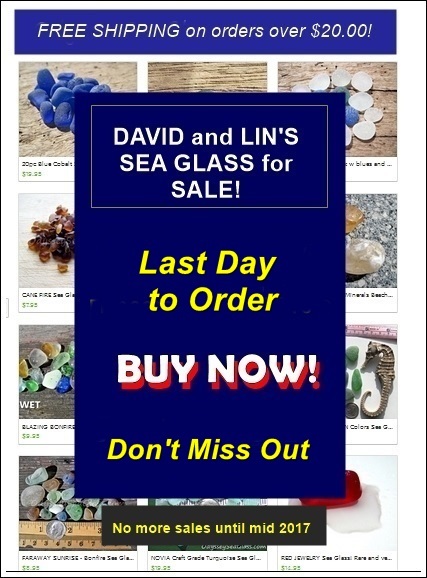 To see what sea glass we are selling, take a look at the 140 items on sale today. First, we would like to say thank you for your interest in our website and especially thank you for sharing your knowledge, photos, and questions with others. As you know, we rely on advertising to cover the costs of our website. We would love to do without the ads but it's not possible to stay in business without them, and we do appreciate it when you take the time to examine the products offered. The November 2016 Sea Glass Photo Contest is Open and Running! Everyone is invited to submit a photo to our Monthly Sea Glass Photo Contest - just click here and follow the instructions closely. Have you found something weird, strange, or fascinating? If it is related to beach treasures, share it! 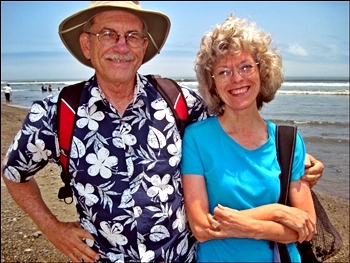 Continue reading "Large grey sea glass identification from Japan"
Where was this photo taken? (If appropriate, enter the beach name, city, state or province, country) This photo was taken in Kenosha, Wisconsin, USA. 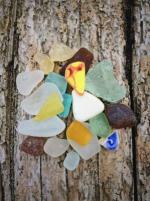 Continue reading "God Bless the U.S.A. - November 2016 Sea Glass Photo Contest"
Identify these Beach Finds or? 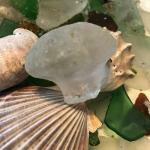 Continue reading "Identify these Beach Finds or?" What is this speckled orange sea glass piece? It's solid orange on the back and clear in the middle. I've never seen anything like it. Thanks for your help identifying it! 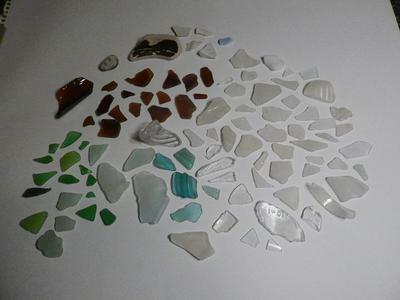 Continue reading "What is this speckled orange sea glass piece?" 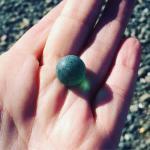 Continue reading "Seafoam Nugget from Portugal"
Continue reading "Unexpected sea pottery find"
Continue reading "My first marble and then some Fort Hale in CT"
Continue reading "26 ottobre 2016, Torre Faro (Sicilia) - Sun through"
10/25/16 Seaside Park Beach - Exciting find! 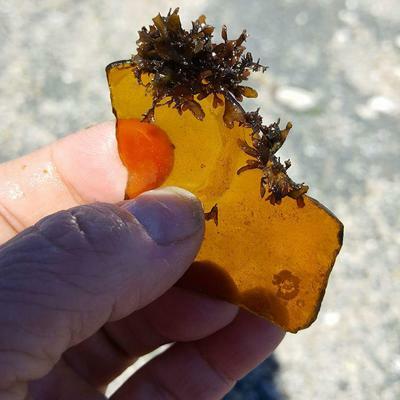 Continue reading "10/25/16 Seaside Park Beach - Exciting find!" 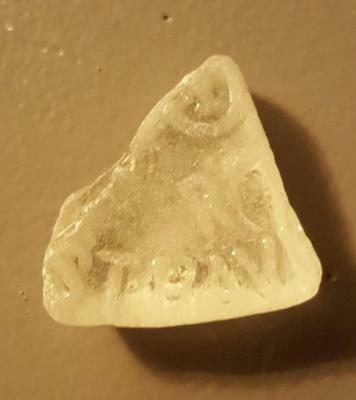 Continue reading "Beach glass ID - STHAV with letter R on top of it"
Continue reading "Houghton Lake Heights"
Continue reading "Guantanmo Bay, Cuba - AmorNtheBox Sea Glass Shop"
~ sea glass contest photo was submitted by Rhonda Tauakitau, Tukwila, Washington Where was this photo taken? Just a beautiful day in the Pacific Northwest. 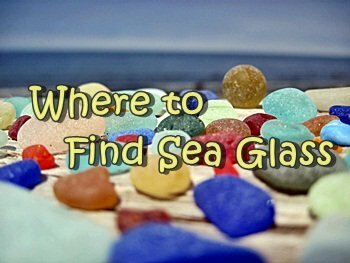 Continue reading "Mossy Days - October 2016 Sea Glass Photo Contest"
Continue reading "Turquoise Peace - October 2016 Sea Glass Photo Contest"
Continue reading ""UV Show Stopper" - October 2016 Sea Glass Photo Contest"
Continue reading "Perfume Stopper - October 2016 Sea Glass Photo Contest"